After many students struggled through their midterm exams, the Spartans’ football team faced their hardest test of the season. Just like their fellow Case Western Reserve University students, the team passed, defeating Geneva College Golden Tornados 16-14. With the win, the Spartans remain a perfect 7-0 on the season, including a 6-0 record in the Presidents’ Athletic Conference. They continue to remain tied for the conference lead with Thomas More College. It is CWRU’s best start since the 2010 season when they also won seven in a row. The game did not start out well for the Spartans. The Golden Tornadoes slowly swept through the CWRU defense on their way to the end zone. They marched 75 yards on 15 plays and used eight minutes and 48 seconds of game clock on the drive, though it felt like it lasted even longer. An obviously frustrated defense just couldn’t find an answer for Geneva’s triple option attack. Of the 75 yards on the drive, 54 were on the ground. Geneva’s offense came up clutch as well, converting two third downs and a fourth down on the drive. CWRU responded with a long drive of their own. A combination of passing from third-year quarterback Rob Cuda and running from third-year fullback Jacob Burke resulted in the Spartans’ first trip to the red zone. After a pass interference penalty on third down gave the offense new life, Burke found his way into the end zone from two yards out. Unfortunately the extra point attempt was blocked, and the Spartans trailed by one. After both teams traded punts, Geneva had the next two legitimate scoring chances.The wind forced a 36-yard field goal attempt to land short of the mark, and the score remained 7-6. The failed attempted happened after the Spartans defense came up big on third down. Debeljak commented on the first half defense. “I think they did struggle, but they also came up big with a couple of stops that were critical. They kept it together and made plays when they had to,” he said. Following a second straight CWRU punt, Geneva marched down the field again. After easily reaching the 11-yard line, the Spartans defense tightened up again. On third down, the Spartans stopped the next run short of the first down marker, leading to the most pivotal play of the game. It was fourth and two at the three-yard line. A successful conversion would probably result in six points and give the Golden Tornadoes a two-possession lead, while a stop would give CWRU momentum and much-needed confidence. Second-year quarterback Javid Ellis ran straight up the middle and right into a wall of Spartan defenders and advanced nary a yard. The Spartans had kept the deficit at one. In the second half, the story changed. The Spartans’ offense found their rhythm and the defense kept the Golden Tornadoes at bay. On the opening drive of the third quarter, Cuda and Burke led the offense down the field once again. The quarterback found second-year wide receiver Joey Spitalli in the back of the end zone from seven yards out to give the Spartans the 13-7 lead. 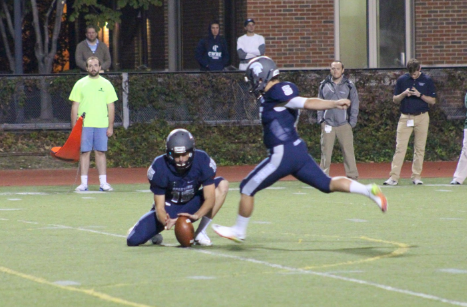 Third-year kicker Ben Carniol added a 27-yard field near the end of the quarter to extend the CWRU lead to nine. 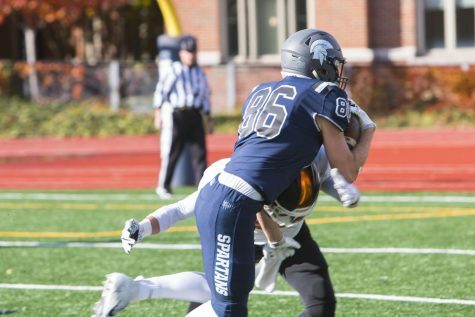 After adding a touchdown to trim the Spartans’ lead to two, Geneva saw its hopes of a win dashed when CWRU recovered an onside kick with under two minutes to play. A last-ditched lateral on the game’s final play was stopped well short of the end zone, securing the Spartans’ victory. 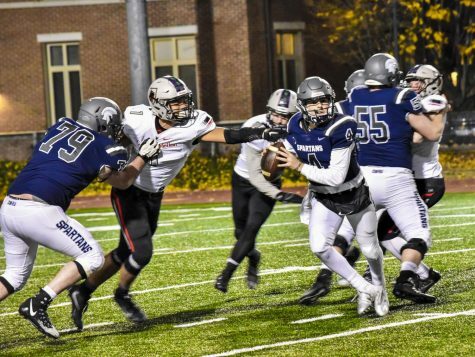 On Saturday, Oct. 29, CWRU travels to Missouri to take on Washington University in St. Louis Bears in a University Athletic Association (UAA) matchup. The Bears are 6-1 on the season and should be the Spartans’ toughest challenge to date. Leading the Bears is fourth-year quarterback J.J. Tomlin, who has 2,433 yards and 22 touchdowns. The Bears’ passing attack is the sixth best in the country and is a big reason for the team’s success so far this season. The one weakness in the passing game is the high volume of interceptions, 12 so far this season. Washington likes to throw the ball far down the field, and sometimes those balls get caught by the defense. CWRU will be looking to replicate their performance from last season when they picked off Tomlin six times during a 34-16 victory. On defense, the Bears are ball hawks, having nabbed 15 interceptions this season. Expect to see CWRU use both Burke and Cuda heavily in the running game. 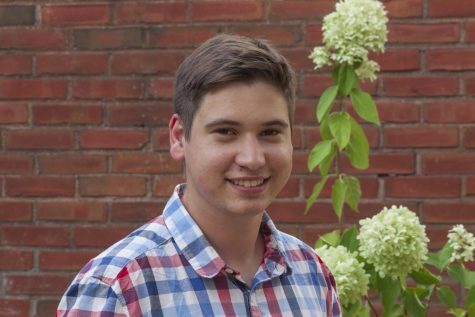 However Debeljak does not want to see the offense become one-dimensional. 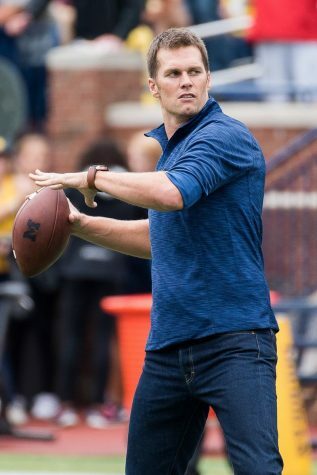 So perhaps a few deep passes will be in store as well. Kickoff for the pivotal UAA matchup is scheduled for 1 p.m. The winner of the game clinches at least a share of the conference title, something the Spartans have not won since 2011.